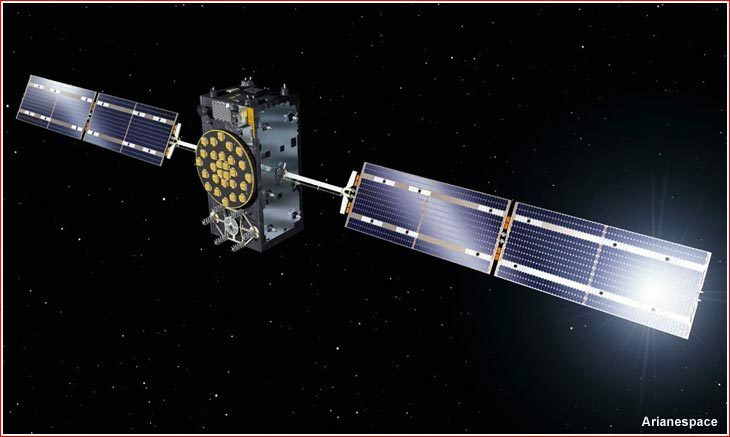 The current Galileo satellites are built by Bremen-based OHB System as prime contractor, with their navigation payloads provided by Surrey Satellite Technology Ltd. UK, a 99%-owned subsidiary of Airbus Defence and Space. The two spacecraft to be orbited by Arianespace on Flight VS12 will be the fifth and sixth OHB-built satellites. The liftoff of the Soyuz-ST-B rocket from the ELS pad near Kourou, French Guiana, is scheduled for Sept. 10, 2015, at 11:08:10 p.m. local time in French Guiana (10:08 p.m. EST). (It will be September 11, 02:08 GMT and 06:08 Moscow Time.) The 12th Soyuz launch from Guiana (under designation VS12) will carry a total of 1,601 kilograms of payload, including a pair of 716-/715-kilogram Galileo FOC M3 satellites and a dispencer built by RUAG Space. According to Arianespace, which manages this mission for the European Space Agency, the powered phase of the first, secondand third stages on Soyuz was to last about nine minutes. The third stage of the launcher will then be separated from the upper composite, comprising the Fregat upper stage and the two satellites. The three lower stages and the fairing will fall back into the sea. After a first burn, the upper composite is spinned during a ballistic phase lasting about three hours and 15 minutes. 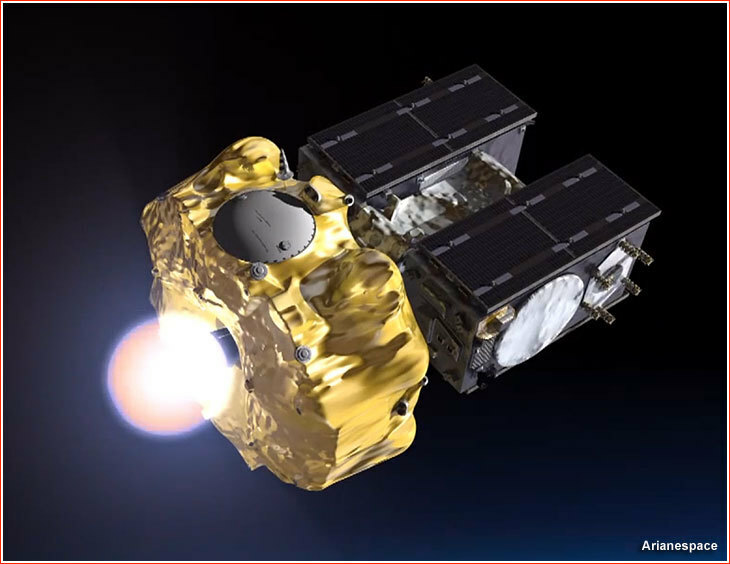 Then, Fregat will ignite its own engine to bring the upper composite to an orbit over the Earth. At a pre-determined point of this orbit, Fregat will ignite a second burn lasting four minutes to reach the circular orbit of separation. 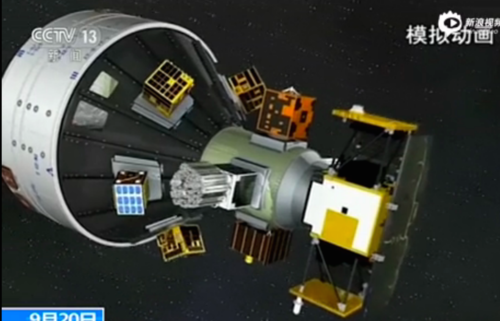 At the end of the mission, the Fregat upper stage will be deactivated. The entire orbital insertion process is expected to conclude three hours, 47 minutes after the liftoff with the release of the satellites into a 23,522-kilometer orbit with an inclination 57.394 degrees toward the Equator. 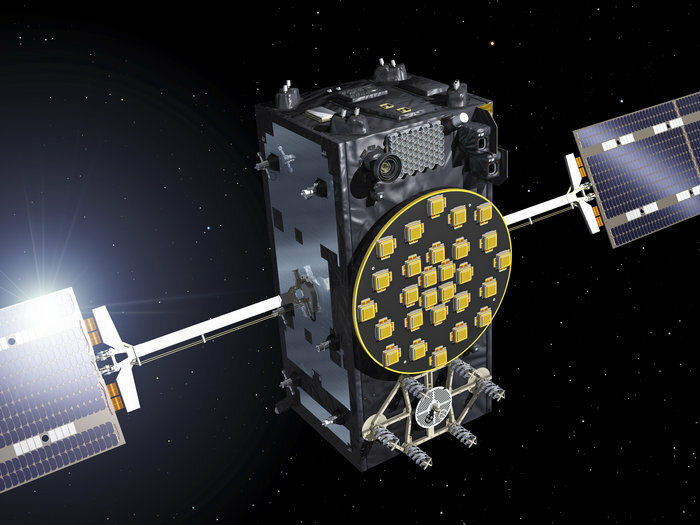 The satellites will later use their own propulsion system to lower their altitude in order to enter their operational orbit in the orbital plane A of the Galileo constellation. PARIS — Satellite fleet operator ABS on Sept. 10 said its ABS-3A satellite, the world’s first all-electric commercial telecommunications spacecraft, has reached final geostationary position and begun operations six months after its launch. Bermuda-based ABS said the satellite’s entry into service occurred about one month ahead of schedule. The advantage of all-electric satellites is their low launch mass, allowing the purchase of less-expensive launch services or, in the case of ABS, enabling satellite operators to launch two satellites at a time depending on the rocket selected. The disadvantage is that they take months to reach geostationary position, rather than a couple of weeks for satellites with chemical propellant. ABS-3A was launched in March aboard a Falcon 9 rocket operated by SpaceX of Hawthorne, California. The 1,950-kilogram satellite was paired with the slightly heavier Eutelsat 115 West B, which weighed 2,200 kilograms, for a launch that became a showcase for how even smaller fleet operators can trim capital expenditures with smart buying practices. ABS and Satmex secured favorable contract terms from Boeing both as inaugural customers for the all-new Boeing 702SP design, and because of the commitment to a minimum four-satellite order. 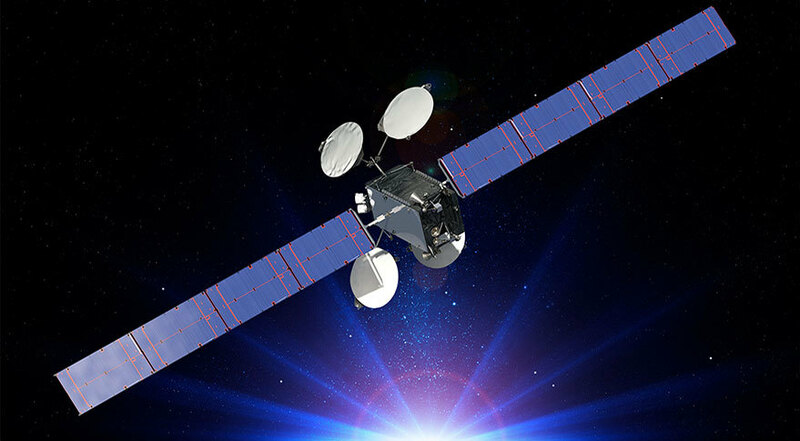 Paris-based Eutelsat said Eutelsat 115 West B is scheduled to arrive at its operating station, 115 degrees west longitude, by late September and to commence service in October, with the heavier mass accounting for the one-month difference in arrival times between the two satellites. ABS-3A carries 24 C-band and 24 Ku-band transponders and is expected to provide telecommunications to the Americas, Africa, Europe and the Middle East for at least 15 years. ABS and fleet operator Satmex of Mexico — since purchased by Eutelsat — in March 2012 were the talk of the satellite telecommunications industry following their contract with Boeing Space and Intelligence Systems of El Segundo, California, and with SpaceX. The contract included four firm satellite orders and options, with the first four satellites — two for ABS, two for Satmex — paired on Falcon 9 launches. The second pair of satellites, ABS-2A and Eutelsat 117 West B, had been awaiting a launch in late 2015 aboard a Falcon 9 before that vehicle’s June failure put the Falcon 9 schedule on hold. ABS said it is now hoping for a launch in early 2016. Industry officials at the time said ABS and Satmex paid about $90 million for each satellite, with the two evenly dividing the cost of a $60 million Falcon 9 launch. Building and launching satellites carrying 40-plus transponders for around $120 million apiece was unheard of at the time of the contract signing. Since then, other satellite builders, especially Airbus Defence and Space of Europe, have plowed resources into their own all-electric designs and have won commercial orders. Boeing has struggled to repeat its ABS/Satmex success, in part because the value proposition of its all-electric design depends on committing two satellites to a single Falcon 9 launch. That means finding customers whose schedules are sufficiently aligned to permit them to undertake satellite construction and launch in tandem. As Boeing has discovered since 2012, this is no easy task. Boeing had booked an order with PSN of Indonesia, but the contract was conditioned on Boeing finding another customer to share a Falcon 9 launch. No such customer was found, and the contract was canceled. More recently, ABS ordered another all-electric 702SP satellite from Boeing and said it was not dependent on finding a co-passenger. But the contract, for the ABS-8 satellite, was suspended following the July closure of the U.S. Export-Import Bank, whose operating authorization by Congress was not renewed. Without export-credit agency financing, ABS is now reviewing its options, Chief Executive Thomas Choi has said. Most members of Congress have expressed support for Ex-Im and there is likely to be an attempt to reauthorize it this autumn. Live coverage of the countdown and launch of a Soyuz rocket from French Guiana with two Galileo navigation satellites. Text updates will appear automatically below; there is no need to reload the page. Follow us on Twitter. The launch of the Soyuz FG for Arianespace went like clockwork. We are into a four hour wait for the Fregat booster to fire again. T+plus 24 minutes. The Fregat engine has shut down on time. This first of two burns was supposed to place the Galileo satellites into a parking orbit with a low point just above the atmosphere and a high point of about 23,500 kilometers (14,600 miles). The second Fregat burn will begin at about T+plus 3 hours, 39 minutes to place the Galileo satellites into a circular orbit at an altitude of 23,522 kilometers (14,619 miles) at an inclination of 57.39 degrees. No problems reported so far in this burn of the Fregat-MT main engine. The hydrazine-fueled Fregat upper stage is now firing to propel itself into a transfer orbit. This burn should last about 13 minutes. T+plus 9 minutes, 40 seconds. The Soyuz third stage and Fregat upper stage have now separated. The first burn of the Fregat upper stage begins at T+plus 10 minutes, 24 seconds to boost the Galileo satellites into an elliptical transfer orbit. T+plus 9 minutes. The Soyuz is now flying in range of a ground station in the Atlantic Ocean as the third stage engine prepares for shutdown. T+plus 7 minutes, 30 seconds. The third stage RD-0124 engine is firing as planned. Altitude is 182 kilometers and downrange distance is 1,185 kilometers. T+plus 5 minutes, 15 seconds. The Soyuz rocket's second stage has shut down and separated. Third stage ignition is also confirmed. T+plus 4 minutes. The rocket's 13.4-foot ST-type nose fairing has jettisoned now that the launcher is out of the lower atmosphere. T+plus 2 minutes. The four strap-on boosters of the Soyuz rocket have separated at an altitude of approximately 30 miles. The core stage continues firing. LIFTOFF of a Soyuz rocket, carrying two Galileo navigation satellites to grow Europe's positioning network into double digits. T-minus 15 seconds. Ignition of the Soyuz rocket's engines. T-minus 1 minute. The Soyuz will transition to internal power 40 seconds before liftoff. T-minus 2 minutes. The upper umbilical mast servicing the Soyuz rocket's two satellite payloads is being disconnected from the launcher. T-minus 4 minutes. The exact liftoff time is 0208:10 GMT (10:08:10 p.m. EDT; 11:08:10 p.m. local time). T-minus 6 minutes. The launch key has been installed inside the launch control center, beginning the Soyuz rocket's synchronized countdown sequence. T-minus 8 minutes. The Soyuz rocket family has flown 1,846 times since the 1950s, and this is the 12th time the venerable launcher will fly from outside the territory of the former Soviet Union. T-minus 10 minutes. All systems are reporting a "go" status for an on-time launch this afternoon. It is currently 10:58 p.m. in French Guiana. 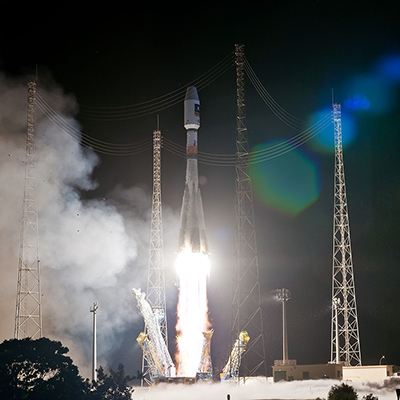 Here is the video of Arianespace's Soyuz FG with Galileo 9 and 10 satellites. Video is 1:03 minutes....we still have 1.5 hours for proper insertion. 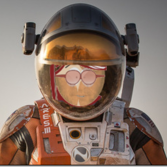 Spacecraft separation! 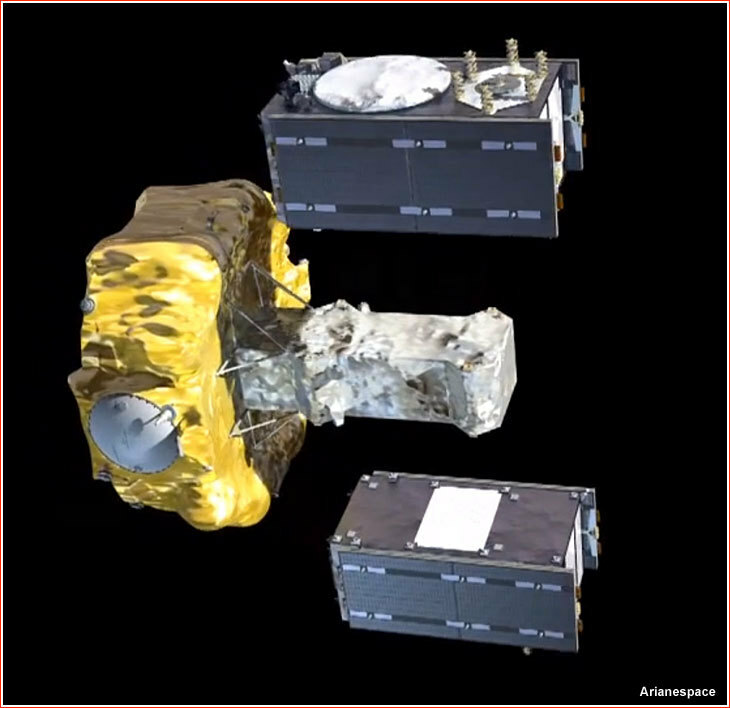 Both Galileo satellites have been released from the Fregat upper stage. Arianespace chairman and CEO Stephane Israel says it will take another 30 minutes or so to verify the satellites are in the correct orbit and confirm the success of tonight's mission. Ground controllers will analyze signals from the satellites to determine their location in space. The long wait to confirm the outcome of the launch stems from an embarrassing premature announcement of a successful flight in August 2014, when a closer look at data revealed the Fregat stage placed two Galileo satellites in an off-target orbit. T+plus 3 hours, 47 minutes. Arianespace confirms the successful ignition and cutoff of the second Fregat burn. This firing was designed to circularize its orbit at about 14,600 miles altitude. Deployment of the two Galileo satellites is expected at 0556 GMT (1:56 a.m. EDT). T+plus 3 hours, 29 minutes. The second ignition of the Fregat upper stage is less than 10 minutes away. Above: A schematic illustrating the fully assembled Galileo constellation. 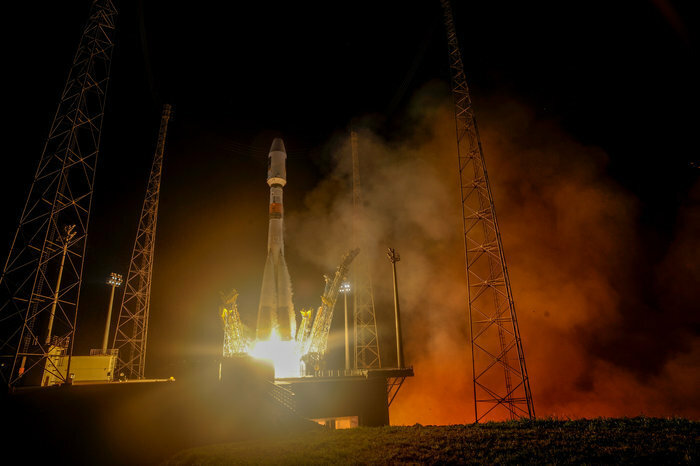 Soyuz lifted off at its exact departure time on September 10 from the Spaceport’s ELS launch complex, carrying two European Galileo navigation spacecraft. A Russian rocket released two Galileo navigation satellites nearly 15,000 miles above Earth early Friday, adding to a growing fleet giving Europe an independent space-based positioning system tracking automobiles, airplanes and cell phone-carrying people around the world. The identical satellites, nicknamed Alba and Oriana, deployed from their hydrazine-fueled space tug at about 0556 GMT (1:56 a.m. EDT) Friday. European officials confirmed the rocket injected the phone booth-sized satellites into an on-target orbit about 23,500 kilometers (14,600 miles) up, and declared the mission a total success. 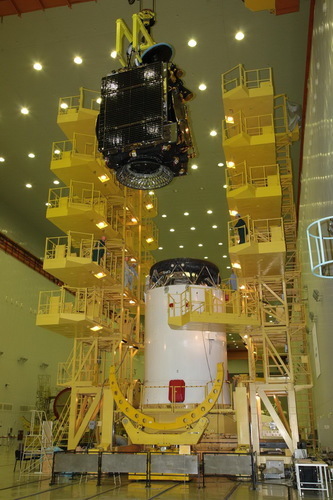 The next pair of Galileo satellites are set for launch Dec. 17 on another Soyuz flight. They will be shipped from ESA’s test facility in the Netherlands to French Guiana this autumn. A super-secretive satellite was launched by China from the Xichang Satellite Launch Center on Saturday. Launch of the unknown spacecraft – unofficially claimed to be the Communications Engineering Test Satellite -1 (TXJSSY-1) – took place at 15:40 UTC using a Long March-3B (Chang Zheng-3B) rocket, as the Chinese continue their build up in space. There is very little information regarding the satellite, with no announcement provided in the Chinese media, despite the media heavily controlled by the Chinese government. Recently, Japan’s Kyodo News reported that China was building a missile defense system to detect a ballistic missile attack. The report was based on Chinese military documents that referred the development of an experimental early warning satellite program. Additionally the report pointed out that China had started the development of an X-band radar system as part of a ground-based interceptor system. The first two stages – as well as the four strap-on boosters – use hypergolic (N2O4/UDMH) fuel while the third stage uses cryogenic (LOX/LH2) fuel. The total length of the CZ-3B is 54.838 meters, with a diameter of 3.35 meters on the core stage and 3.00 meters on the third stage. The CZ-3B can also use the new Yuanzheng-1 (“Expedition-1″) upper stage that uses a small thrust 6.5 kN engine burning UDMH/N2O4 with a specific impulse at 3,092 m/s. The upper stage is able to conduct two burns, having a 6.5 hour lifetime and is capable of achieving a variety of orbits. This upper stage was not used on this launch. The first launch from Xichang took place at 12:25UTC on January 29, 1984 when the Chang Zheng-3 (CZ3-1) was launched the Shiyan Weixing (14670 1984-008A) communications satellite into orbit. A new multipurpose Russian communications satellite to be parked over the Atlantic Ocean is awaiting launch Monday aboard a Proton rocket. Owned by the Russian Satellite Communications Co., Russia’s state-owned civilian telecom satellite operator, the Express AM8 spacecraft is heading for a perch 22,300 miles over the equator. The satellite’s Proton launcher rolled out to its launch facility at the Baikonur Cosmodrome on Friday and rotated vertical for Monday’s liftoff, which is set for 1900 GMT (3 p.m. EDT). After flying east from Baikonur, the three-stage core of the Proton rocket will give way to a Block DM upper stage for a series of delicate maneuvers to propel Express AM8 into its intended orbit thousands of miles above Earth. Monday’s launch will be the fifth flight of a Proton booster this year, and the 406th mission by the workhorse rocket since its debut in 1965. It will be the second Proton launch since it returned to flight Aug. 28 after a launch mishap in May grounded the rocket more than three months. With a launch mass of 2.1 metric tons — about 4,269 pounds — Express AM8 is beginning a 15-year mission to broadcast communications services across a coverage zone stretching from the Americas to Russia. The satellite will be positioned in geostationary orbit at 14 degrees west longitude, replacing RSCC’s Express A4 satellite launched in June 2002. Made by ISS Reshetnev, a Russian satellite manufacturer, Express AM8 carries 42 communications transponders in C-band, Ku-band and L-band. The satellite was built in partnership with France’s Thales Alenia Space, which provided a repeater system and antennas for the spacecraft. Express AM8 joins RSCC’s satellite fleet providing commercial telecom services and communications links for Russian government ministries and the Russian president. The new satellite is designed for fixed and mobile communications services, digital television, radio broadcasting, Internet access and other data transmissions, according to ISS Reshetnev. 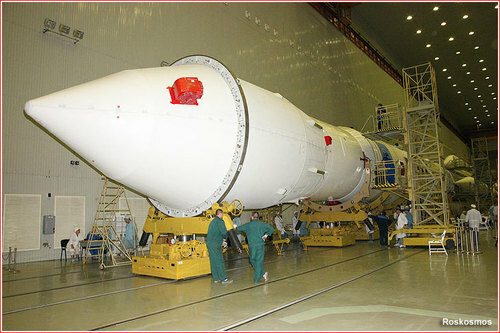 The launch of Express AM8 was intended to go up in April, but officials delayed the mission after discovering contamination in fuel lines on the Proton rocket. The Proton launch failure in May pushed back the mission again to September. Monday’s launch will be conducted under the auspices of the Russian government’s federal space program. Commercial Proton missions are managed by U.S.-based International Launch Services. 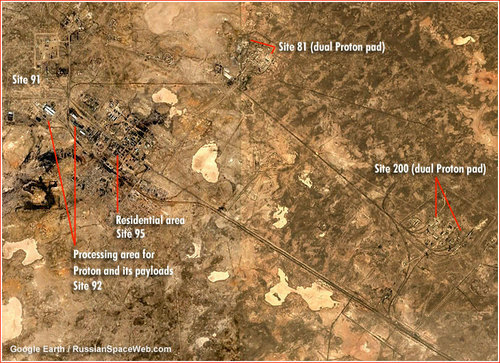 Above: A satellite view of Proton launch facilities in Baikonur circa 2010. Two original launch pads for the Proton rocket -- No. 23 and No. 24 -- are located at Site 81, which is also known as Facility No. 333 ("Ob'jekt 333" in Russian). Two pads are separated by a distance of about 600 meters, calculated to be safe enough for one of the pads to survive an explosion at the other. At the same time, both pads share much of the support infrastructure located between them. The dual launch complex is situated around 2.5 kilometers from Proton's assembly and processing facilities at Site 92. Pad No. 24 is the oldest launch facility for Proton, which hosted the first launch of the rocket in 1965. The pad had been under renovation since 1979 for almost two decades, and no launches took place here until 1999. Yet, in the first decade of the 21st century it became the most extensively used launch pad for the Proton rocket. Along with Pad No. 39, Pad No. 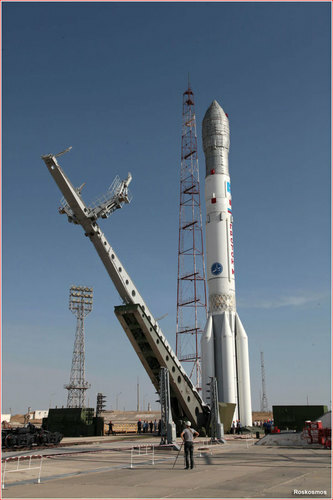 24 was converted for the launches of the Proton-M rocket, however payloads developed at ISS Reshetnev, such as GLONASS-M navigation satellites and Globus-1M military communications satellite, could only be launched from Pad No. 24 until at least 2014. During the refurbishment of Pad No. 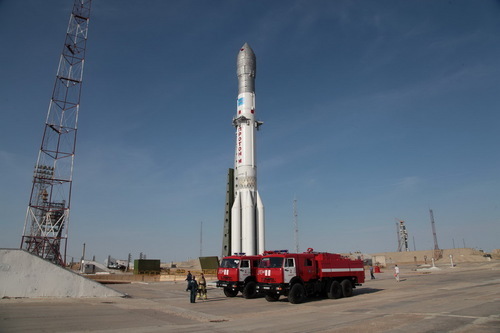 39 in 2012, industry sources reported a backlog of Proton-M missions competing for the use of Pad 24. Pad No. 23 was completed in 1966 and it was used for the first time in 1967. The pad was taken out of service for renovations at the end of the 1970s and it remained officially under repair for almost a decade. Proton-K rockets were launched from Pad No. 23 until December 2004, however funding needed to convert the facility for the Proton-M rocket had not been provided. 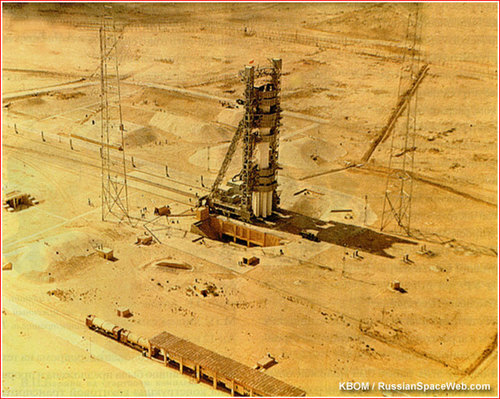 When most space launch complexes in Baikonur were transferred under civilian control at the end of the 1990s, Site 81 remained under jurisdiction of the Strategic Missile Forces. It was finally transferred under control of KBOM design bureau at the beginning of 2006. The organization initiated a number of upgrades at the site, including the installation of the new test and monitoring equipment. On Feb. 1, 2011, around 07:00 in the morning, one of the cables on a launch pad at Site 81 apparently caught fire, which required around 30 minutes to suppress, fortunately causing no injuries. Arianespace remains on track for a record number of launches at the Spaceport in 2015, as underscored by the busy week of preparations for Ariane 5's next heavy-lift mission - which were performed in parallel to yesterday's successful flight of its medium-lift Soyuz from French Guiana. 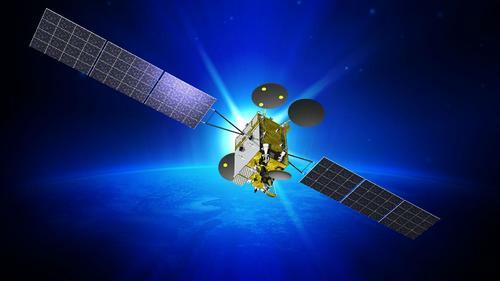 The upcoming Ariane 5 launch is scheduled for September 30 to orbit a pair of telecommunications satellites: Sky Muster for Australian operator nbn and ARSAT-2 for Argentina's ARSAT. During activity of the past several days, Flight VA226's Ariane 5 was transferred from the Spaceport's Launcher Integration Building (where it was integrated by prime contractor Airbus Safran Launchers) to the Final Assembly Building for installation of Sky Muster and ARSAT-2 under Arianespace responsibility. Separately, ARSAT-2 was fueled in the Spaceport's S5 payload preparation center, while pre-launch checkout of Sky Muster continued in a separate area of the same multi-hall facility. Sky Muster is a high-performance broadband satellite, and will be riding in the upper passenger position of Ariane 5's dual-payload arrangement. This SSL-built (Space Systems Loral) relay platform will weigh in at nearly 6,400 kg., and is the first of two satellites for nbn that will help deliver high-speed broadband service to more than 200,000 homes and businesses around Australia - including many in rural and remote areas that do not have access to quality broadband connections. ARSAT-2 is the second of three geostationary satellites that will increase Argentina's telecommunications capacity and guarantee the same level of connectivity quality across the country's regions. Arianespace successfully orbited the first of these relay platforms, ARSAT-1, on Ariane 5 Flight VA220 in October 2014. The ARSAT series of spacecraft is produced by Argentina's INVAP, with Airbus Defence and Space and Thales Alenia Space serving as leading equipment suppliers. The satellites' operation is under the responsibility of ARSAT, which has a strategic role in implementing governmental policies in Argentinian telecommunications, broadcasting and Internet - as well as to increase broadcasting, telecommunications and satellite-based services for commercial, public, private and government-run applications. Flight VA226 with Sky Muster and ARSAT-2 will be the ninth of 12 Arianespace missions targeted during 2015. Such a sustained cadence is possible because of a robust launcher family - composed of Ariane 5, Soyuz and the lightweight Vega - along with the Spaceport's capability to have multiple missions being prepared in parallel. The flights performed so far in 2015 have utilized four Ariane 5s, two Soyuz vehicles (including last night's mission), and two Vega launchers. A Proton rocket fired away from the Baikonur Cosmodrome in Kazakhstan on Monday, kicking off a nearly seven-hour flight set to conclude with a high-altitude delivery of a new Russian communications satellite into orbit. The Proton booster blasted off at 1900 GMT (3 p.m. EDT) from Complex 81 at Baikonur, powering into the sky on the thrust of six RD-276 main engines. The three-stage rocket completed its role in the mission less than 10 minutes later, then a Block DM upper stage took control of the flight for a series of three burns to inject the Express AM8 satellite into a near-circular geostationary orbit. Deployment of Express AM8 is scheduled for 0137 GMT (9:37 p.m. EDT) to complete the launch sequence. Weighing 2.1 metric tons (4,629 pounds) at launch, the spacecraft is light enough for the Proton/Block DM to place it near its final perch 22,300 miles above Earth. Heavier satellites often go to an elliptical transfer orbit, requiring them to consume their own fuel for final orbit-raising. Express AM8 is beginning a 15-year mission at 14 degrees west longitude, covering a region stretching from the Americas to Europe, North Africa and Russia with 42 transponders transmitting in Ku-band, C-band and L-band, according to the Russian Satellite Communications Co., the satellite’s owner. RSCC is a state-owned Russian operator providing civilian communications services, and Express AM8’s launch is considered part of Russia’s federal space program, and not a commercial flight under the auspices of International Launch Services. Thales Alenia Space of France supplied the satellite’s antennas and repeater system. Express AM8’s bus was built by ISS Reshetnev, a Russian satellite manufacturer. 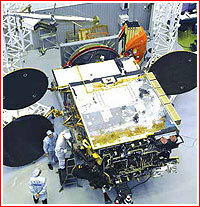 Express AM8 will replace the aging Express A4 communications satellite launched in June 2002. Monday’s launch is the fifth flight of a Proton booster this year, and the 406th mission by the workhorse rocket since its debut in 1965. It is the second Proton launch since it returned to flight Aug. 28 after a launch mishap in May grounded the rocket more than three months. 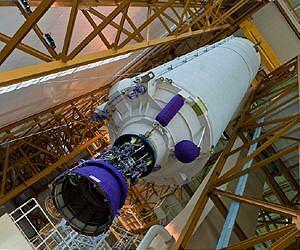 The next launch of a Proton rocket is set for Oct. 9 with Turkey’s Turksat 4B communications satellite. That mission is under the management of ILS. 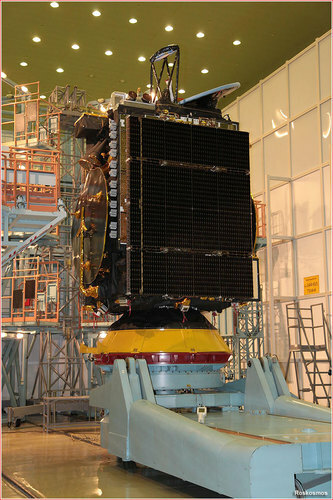 Developed at ISS Reshetnev in the city of Zheleznogorsk, the Ekspress-AM8 satellite was based on the company's standardEkspress-1000NTV platform. The transponder payload for the satellite was developed by the French division of the Thales Alenia Space company. The payload included 42 transponders operating in C-, Ku and L-band of radio frequencies. The satellite was developed for the Federal State Enterprise Kosmicheskaya Svyaz, previously known as the Russian Satellite Communications Company, RSCC. According to the company, the spacecraft will be used for television broadcasts, data transmissions, including high-speed Internet access, multimedia services, telephone and mobile communications during its 15-year life span. From its orbital position over the Atlantic Ocean, Ekspress-AM8 will be able to provide communications over much of Europe, Middle East, Africa, South America and Eastern part of North America. This is really neat.....and about time.........programmable sats, in flight. Several minutes after the planned separation of Ekspress-AM8 from Block DM-03, Roskosmos confirmed the successful delivery of the satellite. 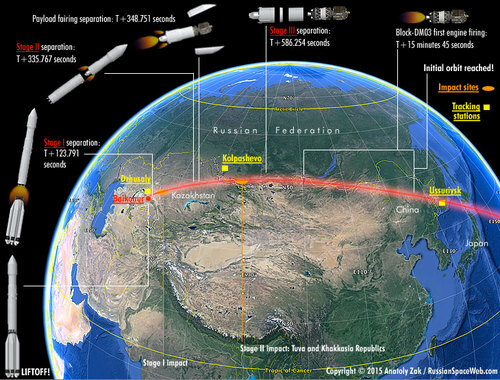 RKK Energia, which developed the 11S861-03 (DM-03) upper stage, announced that after the separation, the space tug had performed another maneuver to leave the vicinity of the satellite, which had been transferred under the control of its operator. According to the satellite manufacturer, ISS Reshetnev, Ekspress-AM8 entered its target orbit, oriented itself toward the Sun and deployed solar panels. Ground control had established and maintained communications with the spaceceraft, whose systems operated in nominal mode, the company said. Two space launches from China in a 37-hour span have placed an experimental communications satellite and a sharp-eyed Earth-viewing craft into orbit, according to Chinese state media reports. Neither launch was officially announced ahead of time by Chinese authorities. The first mission blasted off from the Xichang space center in southwestern China’s Sichuan province, where a Long March 3B rocket streaked into orbit with an experimental satellite to test communications technologies, the official Xinhua news agency reported. 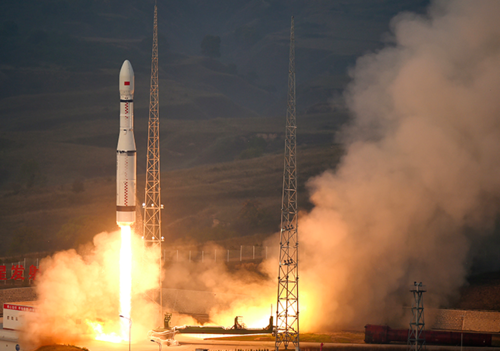 Fitted with four strap-on liquid-fueled boosters, the Long March 3B lifted off at 1542 GMT (11:42 a.m. EDT) Saturday, or 11:42 p.m. Beijing time. The rocket’s third stage released the secretive payload about 27 minutes later, dropping the satellite in a geostationary transfer orbit with a high point of approximately 35,800 kilometers (22,245 miles) and a low point of about 200 kilometers (124 miles), according to U.S. military tracking data. No other information about the spacecraft was released by China — including its name — leading some observers to speculate it might be an intelligence-gathering satellite or a platform to give early warning to Chinese leaders of a missile strike. Another liftoff Monday from the Jiuquan launch base in the Gobi Desert of northwest China put up a new Earth observation satellite, officials said. A two-stage Long March 2D booster fired away from Jiuquan at 0442 GMT (12:42 a.m. EDT) Monday, according to Xinhua. Its payload was the Gaofen 9 remote sensing satellite, a civilian-operated asset designed to collect imagery of Earth with a resolution better than 1 meter (3.3 feet), Xinhua reported. U.S. satellite tracking information indicated Gaofen 9 was flying around Earth in a nearly circular orbit averaging about 639 kilometers, or 397 miles, in altitude at an inclination of 98 degrees. “Developed by the Shanghai Academy of Spaceflight Technology, Gaofen 9 can also serve key national strategies such as the Belt and Road Initiative and national defense,” Xinhua reported. Previous satellites in the Gaofen series — Gaofen 1, Gaofen 2 and Gaofen 8 — launched from China in 2013, 2014 and earlier in 2015. 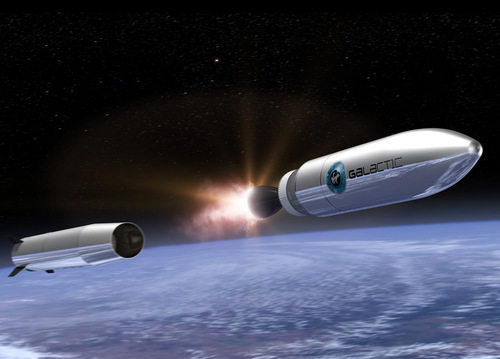 Robust demand from the growing small satellite market has led Virgin Galactic to significantly increase the performance of its LauncherOne satellite launch service. Today the company announced today at the annual World Business Satellite Week in Paris. Driven by strong commercial demand for a launch service that can reliably, affordably, and responsively launch small satellites, Virgin Galactic has nearly doubled the amount of payload that customers can deliver to orbit for the same price. For a price below US $10 million, LauncherOne will now be able to launch 200 kg into the standard Sun-Synchronous Orbit most commonly desired by small satellite missions, a marked increase from the system's originally projected performance to that orbit. Customers will also be able to purchase further increases in performance to the same orbit, as well as launches that reach other altitudes or inclinations. To lower LEO orbits, the system will be capable of launching over 400kg of payload. As an air-launched system, LauncherOne can optimize each mission to customer requirements by operating from any of a variety of launch sites independent from the fixed, often congested, launch ranges and corresponding real-time launch constraints such as weather. Virgin Galactic is in the final stages of acquiring a commercial aircraft to add to its air launch fleet, which includes WhiteKnightTwo, enabling both the increased payload capacity and significantly higher flight rate. The company expects to finalize the acquisition in the coming months. With a dedicated carrier aircraft and strong technical results achieved in an intensive hardware component testing campaign that began in 2013, this performance increase has been achieved by increasing the tank sizing of the rocket, maintaining schedule and launch price while significantly increasing value to customers. With full, private funding already committed to the program, a dedicated and world-class team of 150 experienced aerospace professionals hard at work, and a state-of-the-art 14,000 m2 (150,000 square foot) manufacturing and design facility in Long Beach, California, LauncherOne remains on target to be the most flexible and responsive launch vehicle to offer affordable, dedicated launches to smaller satellites. Virgin Galactic revealed that these changeswhich have been in work for many months and revealed publicly todaywere driven by demand from commercial and government customers. With class-leading payload accommodations and the ability to accommodate both standard and customized form factors, LauncherOne appeals to a broad variety of satellite mission designs. LauncherOne's customer base includes firms such as global communications company OneWeb, which Virgin Galactic recently signed to one of the largest commercial launch orders in history for flights of its internet service satellites on LauncherOne. Virgin Galactic CEO George T. Whitesides said, "The market has spoken, and we have listened: we have roughly doubled the payload for our customers without increasing the price. LauncherOne will be ready to meet the rapidly expanding needs of satellite startups, space agencies, and research institutions thanks to the investments we've already made in our engines, tanks, avionics, and our production infrastructure. Demand has become so significant that LauncherOne will have its own dedicated aircraft. Small satellites are big business, and we look forward to supporting satellite innovators to make history in space and to improve lives here on Earth." Virgin Galactic could only find one serious high volume customer, SpaceX's "CommX" competitor OneaWeb, and LauncherOne wasn't capable of lifting a OneWeb satellites mass. Enter the much larger LauncherTwo with a whole new set of engines (Newton 3 & 4), however LauncherTwo is now too heavy to launch from WhiteKnightTwo as planned. StratoLaunch's Roc could lift it, but there are only a few runways capable of handling Roc and the flight rate is an issue given Roc already has a primary mission. Answer: convert a Boeing 747 into a launcher mothership. It has a higher lift mass capability than WhiteKnightTwo, and a much higher flight rate & easier runway access than StratoLaunch's Roc. Agreed. Buy a 747 and retrofit it already, VG. Spend your time and resources on researching better engines for it while filling orders and making some cash. 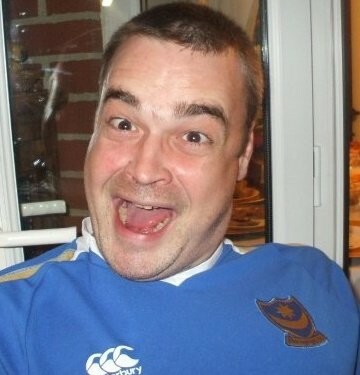 While that's going, invest in the Sabre programme. That's the future of the business your company is pursuing, so follow that tech and do what you can to further it. When it's ready, switch to that because you've already invested heavily in it. We already know it works, so give it a push to market. NATIONAL HARBOR, Md. – At the request of unspecified users, the U.S. Air Force has twice taken a pair of high-orbiting space surveillance satellites out of test mode to make observations of specific objects in geosynchronous orbit, a senior service official said. 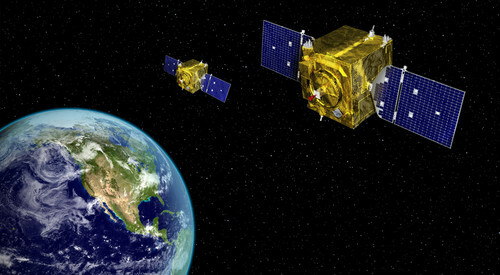 The missions mark the first assignments for the once-classified Geosynchronous Space Situational Awareness Program, or GSSAP, satellites. The requests speak to the Defense Department’s appetite for surveillance of geosynchronous orbit, the operating location many of its most important and expensive satellites. Two GSSAP satellites have been on orbit since July 2014 and have been going through checkout procedures and operational testing. Air Force Space Command expects to declare initial operational capability for the satellites within the next several weeks, service officials have said. He did not elaborate and an Air Force spokesman declined to provide further information on the user. Among the U.S. military satellites that operate there are those used for missile warning and nuclear command and control. The Air Force disclosed the existence of GSSAP in part to deter what Pentagon officials say are increasingly threatening activities by China and Russia, Hyten said. The Air Force told SpaceNews earlier this year that a Russian military satellite launched in March has made at least 11 close approaches to the rocket upper stage that released it into orbit, a maneuvering capability that is consistent with, but not necessarily indicative of, an on-orbit anti-satellite weapon. Another Russian satellite, known as Object E, was among the subjects of a classified briefing on space threats to congressional defense committees earlier this year, a Capitol Hill source said. China deliberately destroyed one of its own satellites using a ground-based missile in 2007 and since then has conducted additional nondestructive anti-satellite tests, U.S. government officials say. Hyten said the Defense Department also is worried about a number of other Chinese space-related activities that are less visible. According to an Air Force fact sheet, GSSAP is a two-satellite system that operates in a “near-geosynchrous orbit regime” to provide accurate tracking and characterization of man-made orbiting objects. Built by Orbital ATK of Dulles, Virginia, the GSSAP satellites are controlled by operators at Schriever Air Force Base in Colorado Springs, Colorado. Two additional GSSAP satellites are notionally scheduled to launch in 2016. 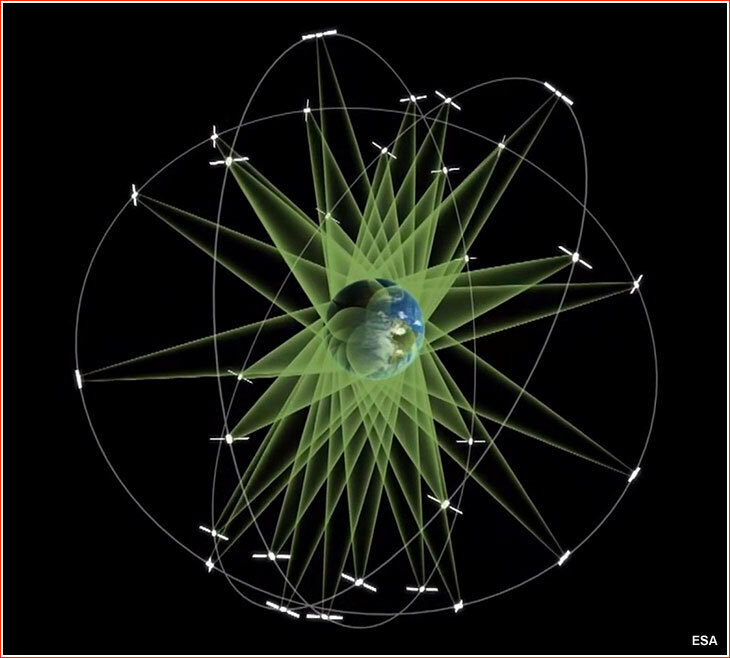 PARIS — Satellite fleet operators fear that start-up OneWeb Ltd.’s 700 low-orbiting satellites will disrupt their established businesses by unintentionally interfering with millions of user antennas installed around the equator. Some of these companies said they hope their concerns are resolved by OneWeb’s stated commitment to abide by international regulatory guidelines on the operation of low-orbiting satellites using Ku-band radio frequencies also used by almost all of the world’s biggest fleet operators. Others said they are worried that the International Telecommunication Union (ITU), a global frequency and orbital-slot regulatory notoriously lacking in enforcement power, will not be up to the task if interference develops after OneWeb is deployed in orbit between 2017 and 2019. Aware of what seems to be a groundswell of concern about their system expressed here Sept. 14-18 at the World Satellite Business Week conference, an annual gathering of industry, OneWeb officials repeatedly said they will not interfere with satellites in geostationary orbit 36,000 kilometers over the equator. 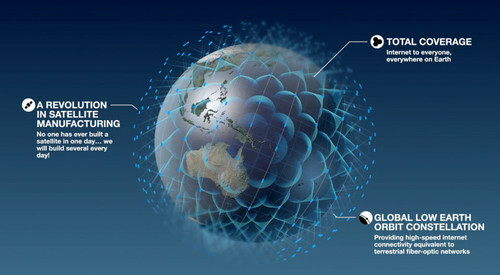 OneWeb founder Greg Wyler said the company would be filing, in December, an ITU S-1503 submission that will allow regulators and geostationary-satellite operators to assess, with precision, OneWeb’s conformity with ITU rules forbidding interference with geostationary satellites by satellites in non-geostationary. OneWeb’s satellites will orbit at around 1,200 kilometers in altitude. In a Sept. 15 interview, Wyler said the company’s Progressive Pitch technology is designed to modify the orientation and power level of the OneWeb satellites as they pass over the equator so that they do not disturb the millions of satellite dishes pointed toward the geostationary satellites. Michel de Rosen, chief executive of Paris-based Eutelsat, said the industry has too often dealt with unintentional interference. “It can happen because there has been insufficient respect for one player by another player,” de Rosen said Sept. 15. “So whenever a newcomer arrives to the game, it is the duty of the newcomer to make sure his initiative will not hurt the quality of service that our customers have a right to expect. In 2015, Spire plans to launch 20 triple cubesats. By the end of 2017, the company will have more than 100 satellites in orbit, said Chris Wake, Spire business operations director. Spire plans to launch the cubesats into a variety of orbits as secondary payloads on many different rockets. “We have flown or signed with everyone out there,” Platzer said. The list includes Russia’s Soyuz and Dnepr rockets, SpaceX’s Falcon 9, Orbital Sciences’ Antares and Mitsubishi Heavy Industries’ H2A and H2B. To date, Spire has launched four satellites: Ardusat-1 and Ardusat-X, single unit cubesats with open-source software to enable members of the general public to conduct space-based experiments; Ardusat-2, a two-unit technology demonstration and Earth observation cubesat; and Lemur-1, a triple cubesat and technology demonstrator. Those satellites were launched when the company was known as Nanosatisfi. It adopted the name Spire in July 2014. Spire’s new satellites will be equipped with a GPS radio occultation receiver to monitor atmospheric pressure, temperature and water vapor and provide the type of data, Spire executives said, will improve weather forecasts dramatically. Once its constellation is established, Spire plans to sell weather data to businesses that rely on accurate forecasts. Instead of asking government or commercial customers to contribute to the cost of establishing the weather satellite constellation, Spire clients will buy data, Platzer said. Spire sees another multibillion-dollar market in helping maritime customers track ships, respond quickly to emergencies, steer vessels clear of pirates and combat illegal fishing operations. “When I started this business in 2012, I knew 90 percent of global trade happened on ships, but I did not know that 80 percent of the time the rest of the world didn’t know where the ships were,” Platzer said. Spire’s forecasts showing multibillion markets for its data products have helped the company attract an estimated $80 million in investments. In June, Spire announced that it raised $40 million in its second round of equity financing led by Chicago-based Promus Ventures. 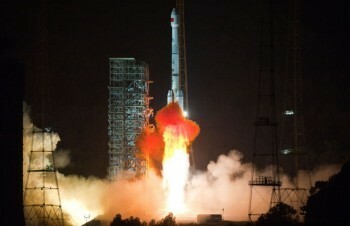 China has successfully launched the country's first Long March-6 carrier rocket as well as 20 satellites on Sunday. 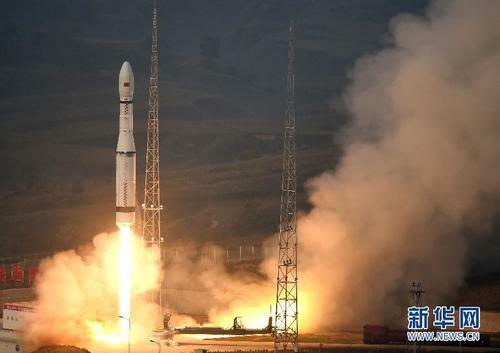 China Central Television (CCTV) reports that the carrier rocket lifted off from Taiyuan Satellite Launch Centre in north China's Shanxi Province at 7 a.m. Beijing time. The 20 satellites, including nine amateur radio satellites, were developed by a number of universities and space research institutes across China. 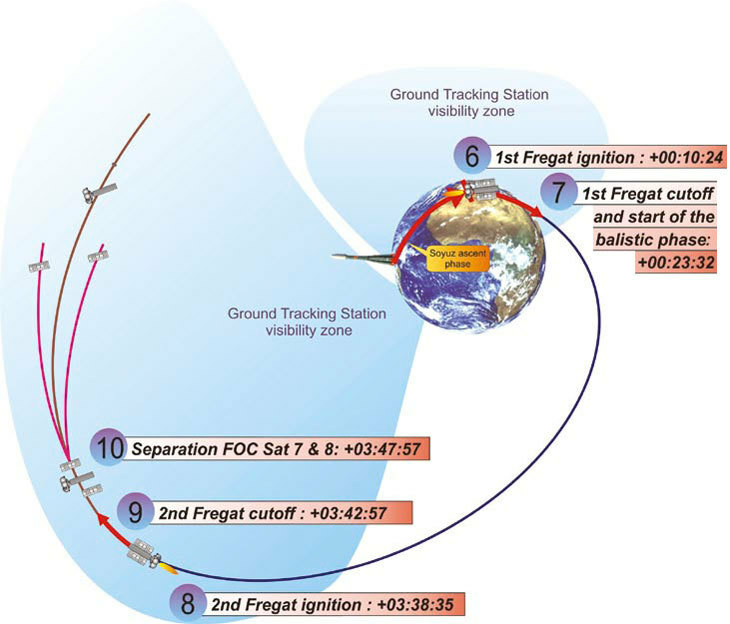 The satellites separated from the rocket 15 minutes after blasting off from Taiyuan. The Long March-6 carrier rocket is the country's new generation of rocket families, featuring light capacity and high-speed response. 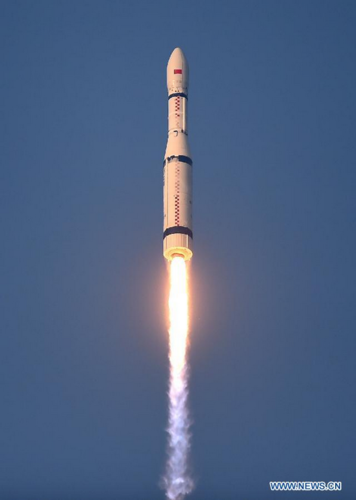 Developed by the Shanghai Academy of Spaceflight Technology, the liquid-fuelled carrier rocket has only a modest lift capability of some 1080 kg. However, the launch is crucial to China's new heavy-lift Long March-5 carrier rocket, an equivalent to the US-made Delta-IV Heavy. The Long March-5 is set to boost its lift capacity by around three times and will be used to launch modules for the country's lunar project and space station. 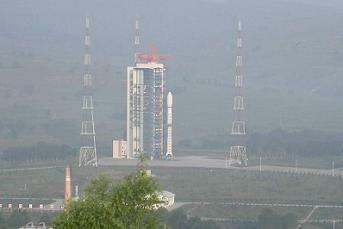 The Long March-5 is scheduled to make its debut flight early next year. China successfully launched its new Long March 6 rocket from the Taiyuan Satellite Launch Center on Sunday, with the booster placing 20 small satellites into orbit. Long March 6 is a three-stage small satellite launcher capable of placing up to 1,080 kg (2,381 lb) into a sun-synchronous orbit of 700 km (435 miles). It is 29.2 meters (96 feet) tall. The first stage is powered by a single YF-100 engine that burns kerosene RP-1 and liquid oxygen (LOX). 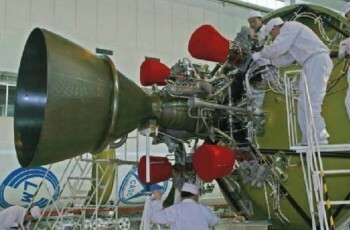 The same motor is being used in the first stage of the larger Long March 5 booster, which will debut next year. Long March 6’s second stage uses a single YF-115 engine powered by kerosene RP-1 and kerosene. Its third stage has four YF-85 motor powered by hydrogen peroxide and kerosene. Overall length is 29.237 m with a total mass at liftoff of 103,217 kg. Dry mass of the three stages combined is 9,020 kg. Fairing diameter is 2.25 m / 2.6 m, and the vehicle is capable of launching a payload of 1,080 kg to a 700 km SSO orbit (500 kg if only Chinese tracking stations are used). The first stage has a 3.35 meter diameter and is equipped with a single YF-100 engine, consuming 76,000 kg of kerosene RP-1/LOX. The YF-100 engine is capable of a ground thrust of 1,177 kN and a ground specific impulse of 2.9 km/s. Burn time is 155 seconds. The first stage uses four 1000 N thrusters for roll control. The second stage has 2.25 meter diameter and consumes 15,150 kg of kerosene RP-1/LOX. It is equipped with a YF-115 developing 147.1 kN (sea level) or 176.5 kN (vacuum), with a vacuum specific impulse of 3.35 km/s. The second stage uses four 25 N thrusters for roll control. The third stage is equipped with four engines with 4 kN (each), along with eight 100 N thrusters for attitude control. The engines are powered by a mixture of kerosene and hydrogen peroxide. 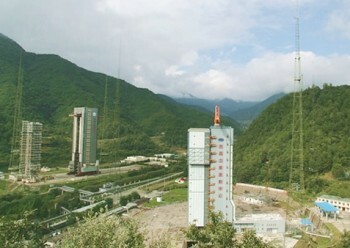 The launch center has two single-pad launch complexes, a launch area for the new Long March-6 rocket, a technical area for rocket and spacecraft preparations, a communications centre, a mission command and control centre, and a space tracking centre. The stages of the rocket were transported to the launch centre by railway and offloaded at a transit station south of the launch complex. They were then transported by road to the technical area for checkout procedures. No doubt the villagers downrange will be glad fewer launchers filled with toxic hypergolic propellants will be dropping on them. Now all they need worry about is flaming kerosene and 30 tonnes of rocket stage. China’s Long March 6 rocket, fueled by a mixture of kerosene and liquid oxygen, successfully shot into orbit on its first mission Saturday with 20 small satellites, signaling a revolution in Chinese rocketry as the country prepares to test bigger boosters in the coming months. The Long March 6 lifted off at 2301 GMT (7:01 p.m. EDT) Saturday from the new launch pad 16 at the Taiyuan space center in northeastern China’s Shanxi province. Powered by an entirely new generation of rocket engines, the rocket marks the beginning of China’s transition away from satellite launchers burning toxic propellants. Earlier series of Long March rockets consume hydrazine fuel, caustic to the environment and to humans, and were derived from Cold War-era Chinese missile technology. State media reported the launch was successful, and U.S. military tracking data indicated Sunday multiple objects attributed to the mission were in a near-circular orbit 525 kilometers, or 326 miles, at an inclination of 97.5 degrees. The Long March 6’s first stage is powered by a YF-100 main engine, a staged combustion powerplant Chinese engineers have worked on since 2000. Chinese state-run television reported the engine generates up to 120 metric tons, or 264,000 pounds, of thrust. Another kerosene-fueled engine drives the Long March 6’s second stage. A third stage deployed the satellites into orbit. Chinese authorities have kept many details of the Long March 6’s design and capabilities secret, but the main booster engine is likely the same powerplant destined to fly on the heavy-lift Long March 5 rocket, the most powerful launcher in China’s inventory expected to fly for the first time next year. The Long March 5 could cluster up to eight of the YF-100 engines — along with hydrogen-fueled core engines — to lift hefty payloads into orbit, such as large modules for China’s future space station. 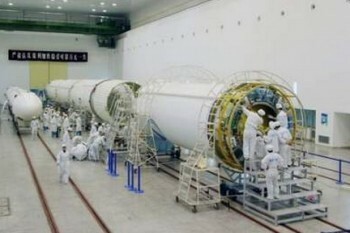 An intermediate rocket called the Long March 7 is also in China’s plans. Chinese engineers completed a major test of the Long March 5’s cryogenic propulsion system Aug. 17, according to the China Aerospace Science and Technology Corp.
Xinhua reported a Long March 5 rocket shipped from the Port of Tianjin in northern China on Sunday for a rehearsal at an undisclosed location to practice the rocket’s launch procedures, mimicking preparations for the Chang’e 5 lunar probe due for liftoff in 2017 on a sample return mission to the moon. But many of the launcher’s specifics are closely held by Chinese officials, which approved full-scale development of the Long March 6 in 2009. The Long March 6 is apparently designed for rapid call-up, giving China a more responsive rocket to launch on need. 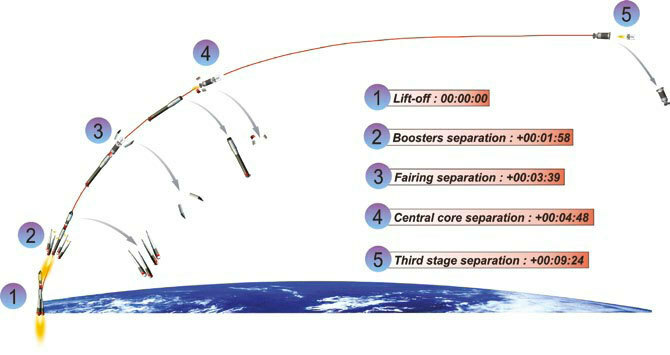 “Loading, testing and positioning were finished when the Long March 6 rocket was at a horizontal position, before it was lifted to an upright position for launching,” said Zhang Weidong, designer-in-chief at the Shanghai Academy of Spaceflight Technology with the China Aerospace Science and Technology Corp.
“We believe it will greatly boost the competitiveness of Chinese carrier rockets in the international market. The new model will also significantly improve our ability to access space,” Zhang said in a report by China’s official Xinhua news agency. Xinhua reported the Long March 6 will mainly be used to launch small microsatellites. Standing about 95 feet tall, it can haul up to 1,500 kilograms, or 3,300 pounds, of cargo into low-altitude orbits, according to Sinodefence.com, a British website specializing in Chinese military matters. Some of the 20 satellites sent into space Saturday went up housed inside mothership satellites, where they were stowed for later deployment. Many were assembled by students at Chinese universities, officials said. They will conduct technology demonstrations in orbit, including tests of electric propulsion, in-space communications links, new software and cameras, nanotechnology, and amateur radio relay, officials said. 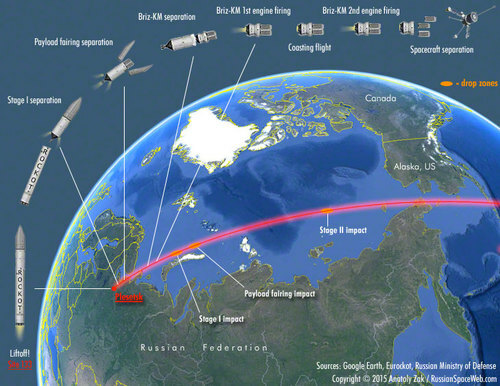 The 20-payload haul is the most number of satellites ever launched on a single rocket by China. India will launch its first space observatory Astrosat next week, a senior space official said Monday. "The 1.5-ton space observatory will be launched by the Indian Space Research Organization on board the country's indigenous PSLV rocket from the southern spaceport of Shriharikota on September 28, " the official said, on condition of anonymity. "The observatory will study celestial bodies once it is placed successfully into a 650 km orbit. Six more satellites - one each from Indonesia and Canada, and four from the United States - will also be launched on board the rocket," he added. If successful, India will join the elite club of three countries - the United States, Russia and Japan - which have launched a space observatory. Russian Defense Ministry on Thursday plans to launch a Rokot carrier rocket from the Plesetsk space center in northwestern Russia to put Rodnik communications satellites into orbit, the ministry's press service announced Monday. 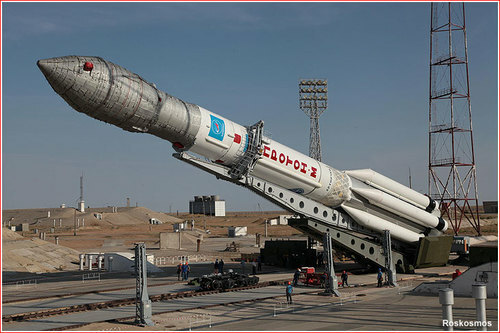 The launch of the Rokot lightweight launch vehicle carrying Rodnik communication satellites from the Plesetsk State Test Cosmodrome," the press service announced on its official website. The Rokot launch vehicle, developed by the Russian state-run Khrunichev Center, is a modification of the RS-18 (SS-19 Stiletto) two-stage ballistic missile that is being decommissioned from Russia's Strategic Missile Forces. The Rodnik satellite is a telecommunication vehicle designed to establish communications between remote areas that lack proper communication connections. As Rodnik passes over a territory, the satellite's systems collect messages which they then downlink once they reach the designated recipient. 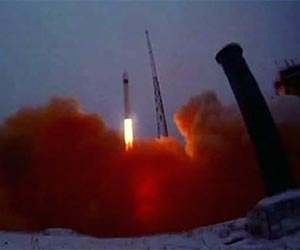 Three military satellites launched from the Plesetsk space center have been successfully put into orbit. The military satellites launched from the Plesetsk space center with the help of the Rokot carrier rocket early on Thursday have been successfully put into orbit, a Russian Defense Ministry spokesperson told RIA Novosti. "The light-class Rokot carrier rocket successfully put into orbit at the designated time three Russian Defense Ministry space vehicles," the spokesperson said. The Rokot rocket was launched from the Plesetsk facility in northwestern Russia at 01:00 Moscow time on Thursday, September 24 (22:00 GMT on Wednesday). The Rokot carrier rocket has been successfully launched from the Plesetsk facility 23 times since its first launch on May 16, 2000. 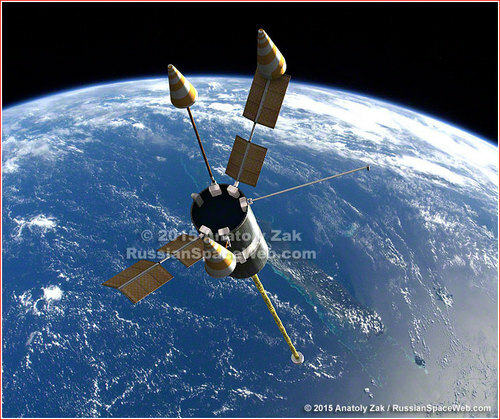 Artist rendering of a Rodnik-type satellite deployed in orbit. A long boom pointing toward the center of the Earth helps the spacecraft to maintain a constant orientation in space without use of propellant, thanks to gravitational pull of our planet. 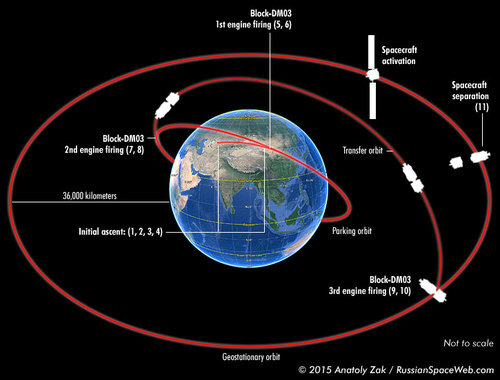 2015 Sept. 24: Breaking with its long tradition of not identifying military payloads prior to their launches, on Sept. 21, 2015, the Russian Ministry of Defense announced that a cluster of Rodnik communications satellites would be launched on the Rockot booster from Plesetskon Sept. 24, 2015. According to the official Russian media, the liftoff took place at 01:00 Moscow Time (6 p.m. EDT on September 23) and the payload section successfully separated from the second stage of the launch vehicle at 01:05 Moscow Time. The release of the spacecraft was promised in around two hours. The successful release of the satellites was officially confirmed shortly after scheduled separation. Like all other Rockot missions, Rodnik satellite clusters lift off from Facility 14P25 at Pad 3 at Site 133 in Plesetsk with a vertical launch from a surface-based container. To reach an orbit with an inclination 82.5 degrees, the Rockot booster heads northeast from Plesetsk with an azimuth of 13.7 degrees. The first stage powered by three RD-0233 engines and one RD-0234 engine operates for around two minutes and separates under thrust of small solid-propellant motors at an altitude of around 65 kilometers. It then crashes into the Arctic Ocean, just west of Novaya Zemlya archipelago, more than 1,000 kilometers from the launch site. At the time of the separation, four small RD-0235 vernier engines on the second stage already fire to provide initial acceleration for the vehicle, followed by the ignition of the main RD-0236 engine after the first stage falls away. Shortly thereafter, the payload fairing splits into two halves with the help of 32 pyrotechnic locks and falls away. Five minutes after the liftoff, at an altitude of more than 200 kilometers, the Briz-KM upper stage with its three payloads separates from the second stage, which also fires its breaking solid motors and then reenters the atmosphere and falls into the Arctic Ocean more than 3,700 kilometers downrange. Four seconds later, Briz-KM fires its main engine for about nine minutes in order to reach a 160 by 1,479-kilometer transfer orbit with an inclination 82.5 degrees toward the Equator. The upper stage and its payload then climb passively along its orbit. After the stack reaches the highest point (apogee) of this orbit around an hour later, Briz-KM fires its engine again for about a minute, forming a final circular orbit of the mission at an altitude of 1,500 kilometers above the Earth surface and stretching from the South Pole to the North Pole of the planet. The three satellites separate from the upper stage one hour, 50 minutes after launch. Around 11 minutes later, Briz-KM is programmed to fire its engine for less than two minutes in order to avoid collision with its released payloads.